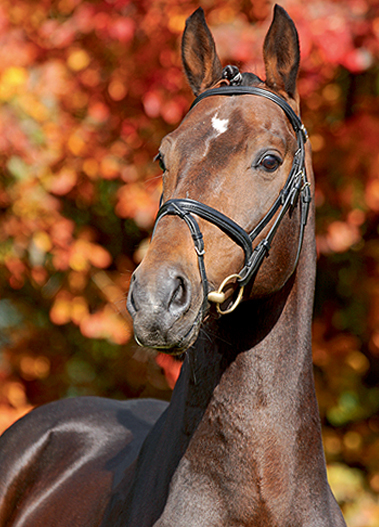 For a long time already, Lord Pezi, who was successful in the big sport, belongs to the world‘s best jumper sires according to the WBFSH ranking. 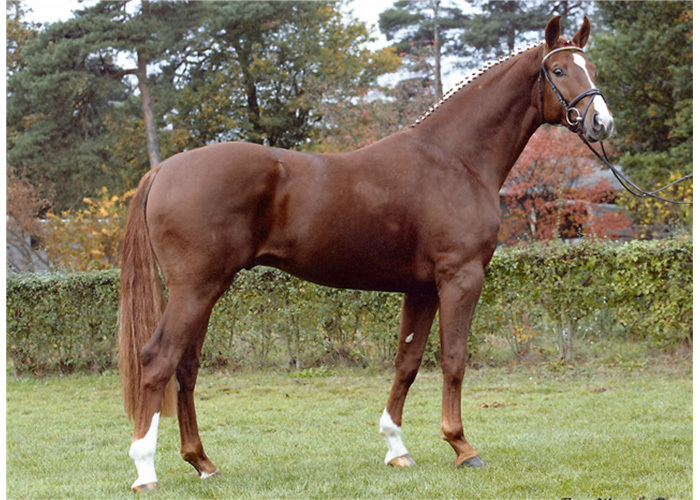 This is thanks to his progeny, which is winning in the jumpingcourse all around the world. Louis, for example, finished tenth with Beat Mändli/SUI in the individual final at the EC in Madrid/ESP. Pezi, Lariccello, Le-Champ, Lord Spezi and Little Spezi are as successful. Lord Petz became national Oldenburg Champion under Gilbert Böckmann in 2011. 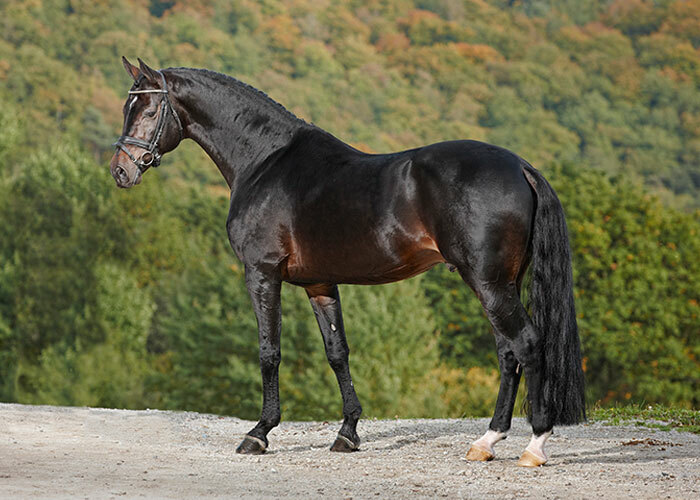 Ten sons by Lord Peziwere licensed, among them the OS- Champion Stallion Luca Toni, the Hanoverian Premium Stallion and Euro 180,000 expensive Lord Fauntleroy, the NRW Premium Stallion Legendario who was sold at Euro 140,000, and the OS-Premium Stallion Lord Pezi Junior, being also stationed in Hamstrup. 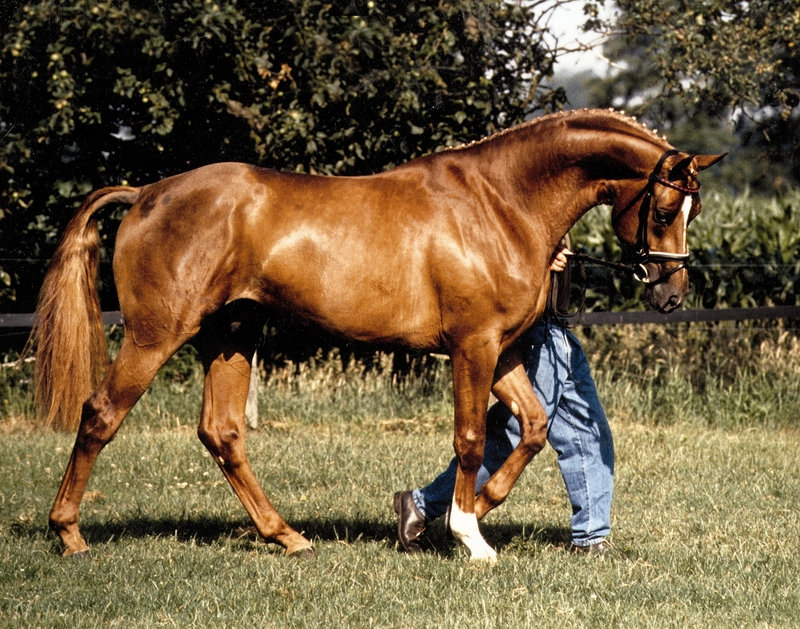 The sire, Lacros, won more than Euro 200,000. The dam, Miss Playback, delivered the licensed and successful advanced (S) level jumpers Liberty Life and Lord Pezi Two. Her daughter Free Lilly (sport name: Who knows Lilly) partici pated at the Olympic Games, and she produced the eighth of the Bundes championat and in Hamstrup stationed Christian.